B2B merchants often consider ecommerce as a tool for existing clients. Acquiring new customers is expected to happen through the sales team, not the Internet. The website becomes a way to support sales personnel and to offer clients a more convenient way to place their orders. But B2B ecommerce is changing — certainly Amazon Business is after new customers. In this article, I’ll describe strategies for attracting new B2B customers via ecommerce. In B2B, a new customer typically must complete several steps to place an order. Some of these may involve a salesperson or customer service representative. B2B merchants should simplify their purchase process, to enable buyers to place an order entirely online, without internal assistance and without having to wait for an account. I’ve seen innovative companies allow visitors to place initial orders by credit card, for products at the public list price. 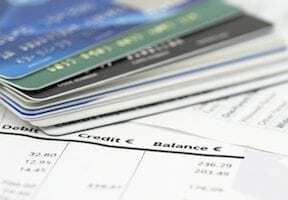 After the first order, customers are assigned an account number and, also, custom pricing and terms. This enables new customer acquisition. By setting up products so they are visible at list price and buyers can add them to their cart without an account, you can create Google Shopping ads. Online advertising can be very effective for B2B merchants. 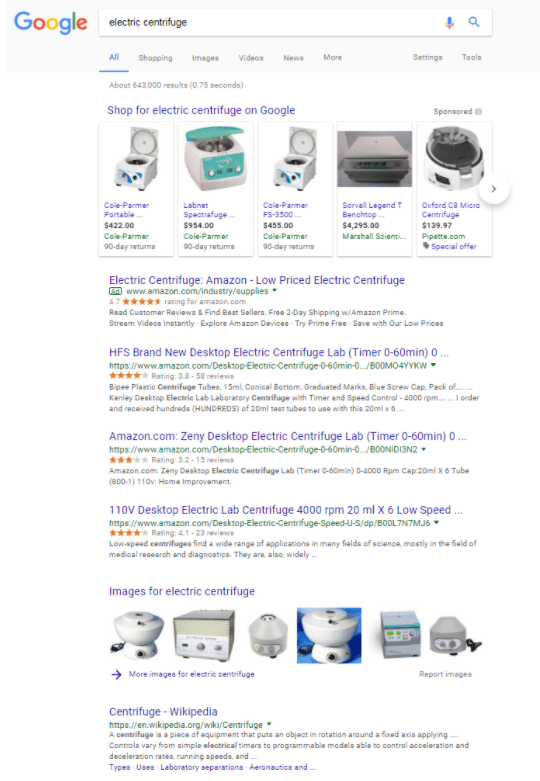 Consider the screenshot below for the search results from “electric centrifuge.” The images at the top of the page come from Google Shopping ads. Merchants can advertise there only if they have a product page that shows the price and has a buy button. While organic search results are good in theory, look at what makes up the first page of results below: Google Shopping images, links to Amazon listings, and a Wikipedia entry. If you want your business to show up on Google search results, you should advertise. Google Shopping ads can put a product front and center for B2B buyers. A well-managed paid search campaign coupled with a compelling ecommerce site and strong email marketing can provide dependable sales growth. If you sell expensive and complex products, selling parts for those products online may make sense. Parts are usually high margin. And providing buyers access to those parts via your website will enable you to build an email list of repeat customers — and prospects for the expensive, complex products. Content builds relationships. Provide buyers with information that supports your products. Include technical specs and manuals on the product page. Add a resources area to your website that answers questions new buyers frequently have when ordering your products. Done well, content provides insight into your B2B company, as well as helpful information. It separates your company from Amazon and your other competitors. 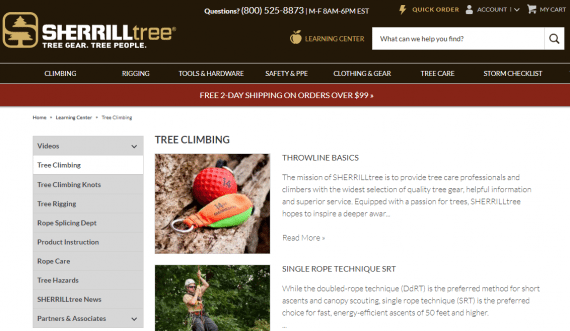 SherrillTree provides resources to professionals for the tree industry. This positions the company as an expert and leader in its field. Delivery speed is important to B2B buyers. Having a simple ordering process and fast delivery can make all the difference. I’ve seen manufacturing companies that had lost sales to overseas competitors gain the business back based on the speed of their fulfillment. Consider telling buyers when an order will ship — i.e., “orders placed by 2 p.m. will ship the same day” — or posting message that counts down the remaining time to ship a product that day. 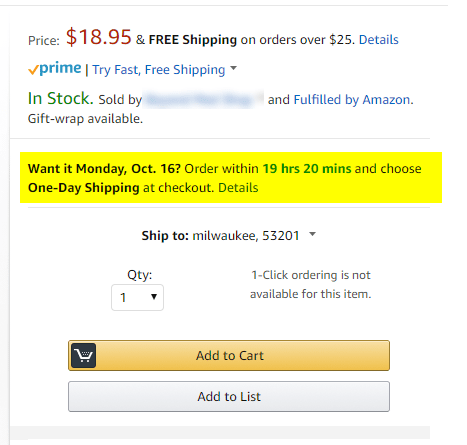 Amazon promotes its fulfillment speed (“Want it Monday, Oct. 16?”). Buyers know exactly when they can expect an item to arrive. Many manufacturers and distributors have assigned business development to sales personnel. But an online store can attract new customers. It won’t eliminate a sales team. It will help them sell even more.